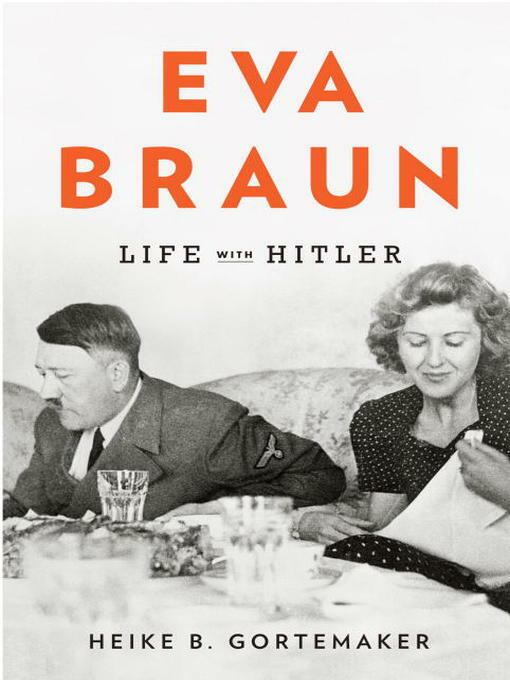 In this groundbreaking biography of Eva Braun, German historian Heike B. Görtemaker delves into the startlingly neglected historical truth about Adolf Hitler's mistress. More than just the vapid blonde of popular cliché, Eva Braun was a capricious but uncompromising, fiercely loyal companion to Hitler; theirs was a relationship that flew in the face of the Führer's proclamations that Germany was his only bride. Görtemaker paints a portrait of Hitler and Braun's life together with unnerving quotidian detail--Braun chose the movies screened at their mountaintop retreat (propaganda, of course); he dreamed of retiring with her to Linz one day after relinquishing his leadership to a younger man--while weaving their personal relationship throughout the fabric of one of history's most devastating regimes. Though Braun gradually gained an unrivaled power within Hitler's inner circle, her identity was kept a secret during the Third Reich, until the final days of the war. Faithful to the end, Braun committed suicide with Hitler in 1945, two days after their marriage. Through exhaustive research, newly discovered documentation, and anecdotal accounts, Görtemaker has meticulously built a surprising portrait of Hitler's bourgeois existence outside of the public eye. Though Eva Braun had no role in Hitler's policies, she was never as banal as she was previously painted; she was privy to his thoughts, ruled life within his entourage, and held his trust. As horrifying as it is astonishing, Eva Braun will undoubtedly be referenced in all future accounts of this period.